The team also noted that Patrick Sharp hopes to be back after the All-Star Break. I’m really happy the decision was made to sit Toews for Tuesday. 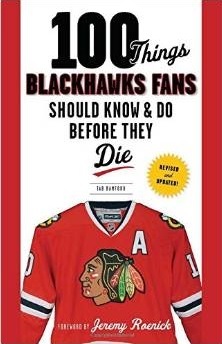 It gives about 10 days to heal up (not to mention, rest up) before the road trip. I realize the back end of this double header with Nashville has serious divisional implications but I still applaud the decision. Mr. Kane……. Mr. Patrick Kane…… Your table is ready…….. This will be an ideal game for Mr. Kane to step up and prove us “naysayers” wrong…. I for one am hoping he does……..